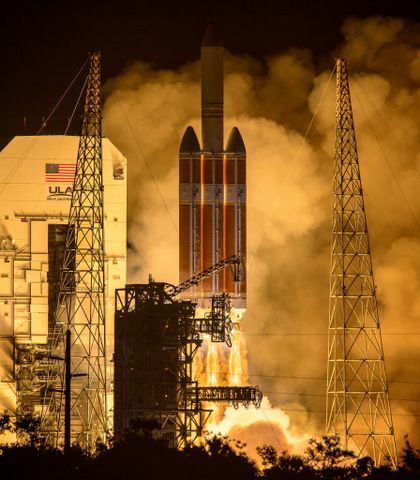 Designed and built by Orbital ATK, the Dawn spacecraft launched on September 27, 2007 from Cape Canaveral, Florida. Ten years later, the spacecraft continues to reveal new mysteries of the solar system. 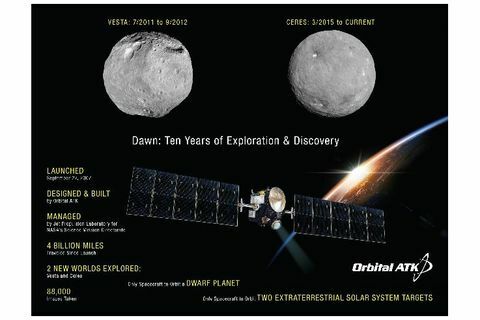 Among its many accomplishments, Dawn is the first mission of its kind to travel to and orbit two interplanetary bodies in the main asteroid belt between Mars and Jupiter. "This is a proud day for every member of the Dawn Team. Dawn has operated in deep space for ten years, returning masses of science data from the last two, large, uncharted worlds of the inner solar system, Vesta and Ceres," said Joe Makowski, Orbital ATK's Dawn Program Manager. 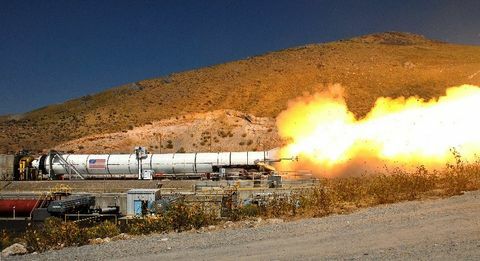 "The spacecraft has fulfilled the dreams of those who designed and built her, the people of Orbital ATK, JPL and our mission and science partners around the world. Well done!" Managed by the Jet Propulsion Laboratory for NASA's Science Mission Directorate in Washington, the spacecraft's journey to the giant asteroid Vesta and dwarf planet Ceres has delivered substantial amounts of new information about these small worlds. The discoveries will help scientists better understand the formation of planets in our solar system. 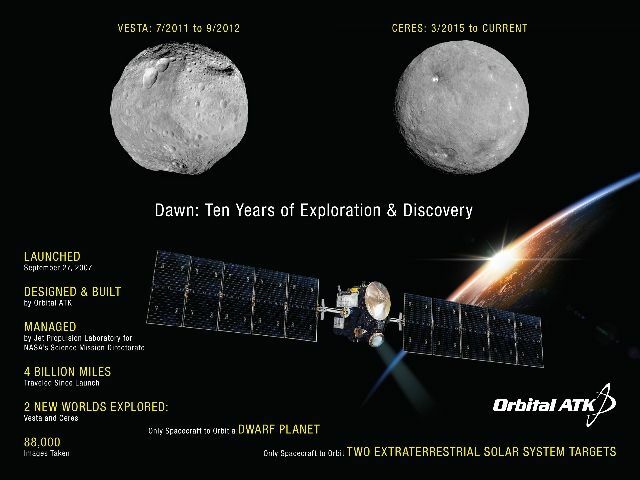 Since beginning the journey ten years ago, Dawn has returned nearly 88,000 photos of intriguing topographical features from Vesta and Ceres. Today, Dawn remains healthy and currently collecting data on cosmic rays in the vicinity of Ceres. In February-April 2017, Dawn adjusted its orbit to place it in a position exactly between the sun and Ceres' surface on April 29, to enable imaging of the dwarf planet from a position known as "opposition." 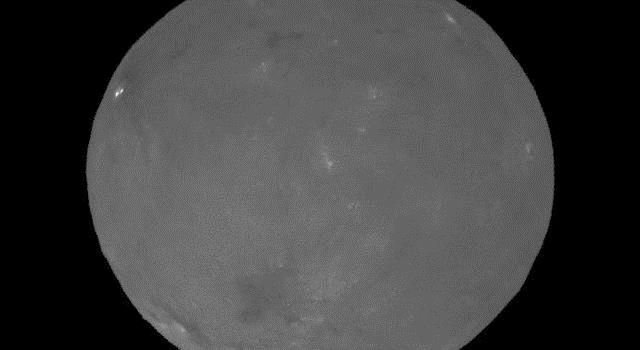 This gif shows some of these opposition images, taken at an altitude of about 12,400 miles (20,000 km) above Ceres. An analysis of earlier images confirmed the presence of landslides on Ceres. 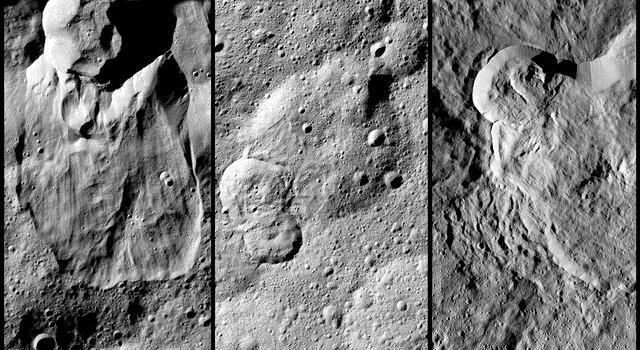 The dwarf planet contains a lot of water ice below the surface, which may have shaped the variety of landslides seen. 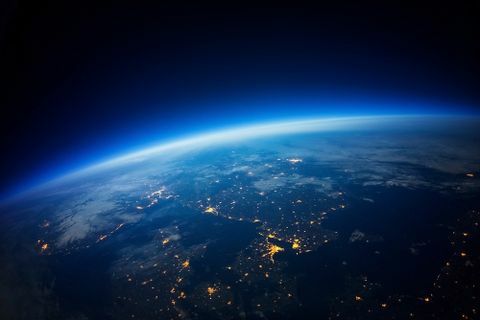 Water-rich bodies, either in the distant past or current, may provide clues as to where life may have existed in the early solar system. Click here to read more and see additional images. In recognition of Dawn's achievements, the Dawn Project Team received prestigious awards that include the 2015 Robert J. Collier Trophy, the 2016 National Space Club's Nelson P. Jackson Award and a 2017 RNASA Team Stellar Award. To learn more about the entire mission, visit the Dawn mission page.